I know the end of July is soon coming; however, I wanted to still take the time to do a recap of the June Style Challenge I participated in. As some of you may remember, last month I participated in this style challenge and each week, I was given a theme for the week to create an outfit from. This was something I had never participated in before and I can say I truly loved it! I gained a lot of fashion inspiration during the challenge. Which outfit is your favorite? Is there an outfit here that you would wear? Hey girl! 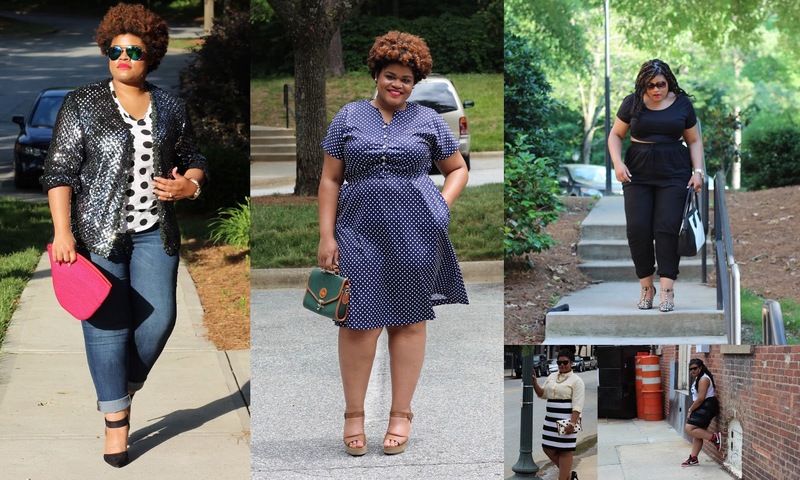 My favorite style you did for June was the Polka Dot dress and sneakers with a skirt on. But you rocked all styles well! Thanks Kita! I love dresses. They are so easy to throw on you! You got to start back wearing them! I think my favorite are the sneakers and skirt-- which you pulled off well and the more business one.. polka dots and stripes. Ok, still ADORING that polka dot dress! So cute. You are absolutely lovely!! You always kill it. Every single outfit! !